Social media is one of the major disruptors in every sport today. It has changed the way fans interact with their favorite sport entities – be it a brand or athlete or rights holder. The impact of social media has also been keenly felt in motorsports, one of the major sports to have brought sponsorship to the heart of the game with logos on cars, drivers, and all around the track. Now, with brands lining up as sleeve sponsors for EPL teams, jersey patches to NBA teams, and other very visible activations, Hookit’s guide examines the statistics of motorsports to see where the fans are and how brands can engage them for sponsorship ROI. Want to learn more? 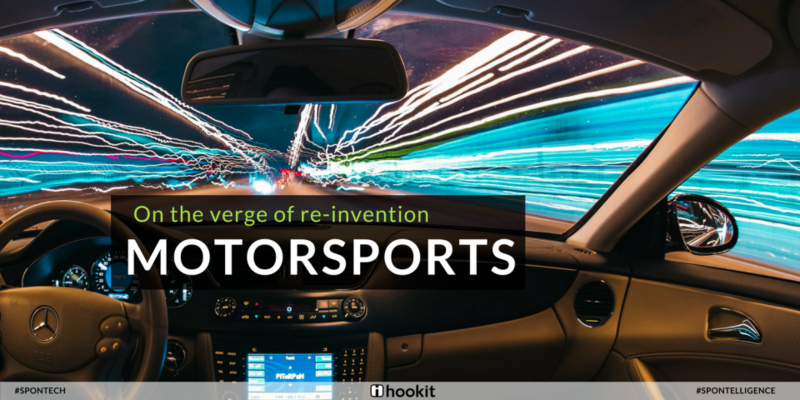 Download the motorsports guide by hookit that also includes DATA & REPORTS about all major motorsport entities in 2017!